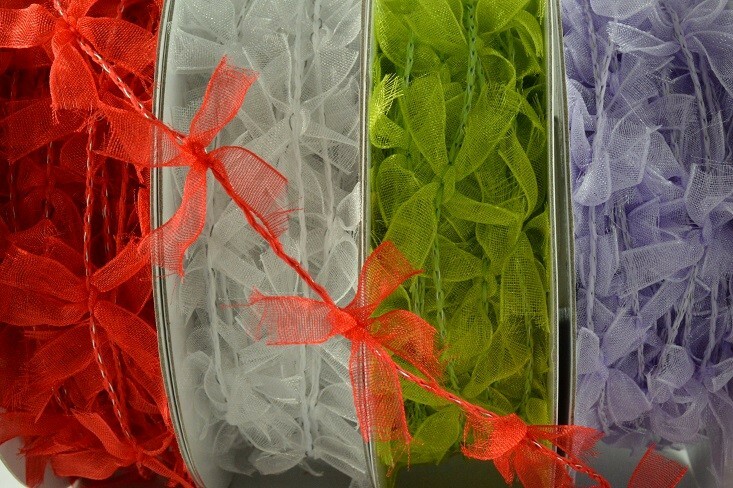 88013 - 25mm Coloured Wired Bow Garland (10 Metres) Brilliant colourful wire decorated with beautiful bow garland. Rolls are spooled with 10 metres. Available in a brilliant selection of colours.